Adoption is a rewarding and wonderful way for couples and singles to start or expand their families. However, the continually changing and often confusing legalities governing adoption make it difficult to understand what countries and states are LGBT friendly. 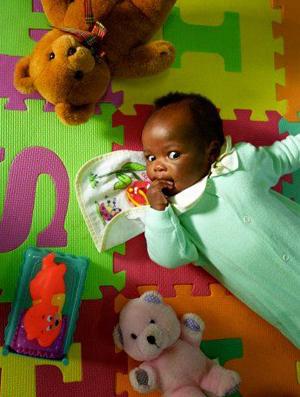 In December 2007, the President signed the Hague Adoption Convention. “The Hague Adoption Convention protects children and their families against the risks of unregulated adoptions abroad and ensures that inter-country adoptions are made in the best interests of children. The Convention also serves to prevent the abduction of, sale of, or traffic in children.”* Countries where the US was formally able to adopt from that were LGBT friendly, such as Guatemala, are no longer adoption options for the US because these countries are not signatories of the Hague Convention. To further complicate matters, many countries around the world are also in a period of transition and are changing their own adoption regulations. For example, China, which used to allow adoption by unmarried persons, is now prohibiting adoptions by parents who are unmarried. China’s reasoning is that they wanted to increase their own domestic adoption program. Therefore, there are very few, if any, countries that are currently open to the LGBT community. Although the adoption climate is not favorable for international adoptions, the domestic situation is still a great option for the LGBT community. In fact, there is a huge demand for parents and singles to adopt in the US. Families can choose foster care adoption, domestic independent adoption, or domestic agency adoption. In foster care adoption, families adopt children who are in the U.S foster care system. The children tend to be older (ages three and up). Foster care adoptions are created through public and state agencies. An agency domestic adoption is when parents work with an adoption agency to help them match with a birth mother. The birth mother relinquishes parental rights to the agency. In an independent domestic adoption, families work with an attorney to help network and advertise. In this type of adoption, families play a more active part in their selection of birth parents. All types of birth parents pick LGBT families for reasons that are personal to the birth parents. Contact with birth parents range from completely closed, no access to medical records or any information from the birth parent, to more open, such as a card or letter each year. In most states, LGBT parents will have to adopt as a single person and have their partner go through a second parent adoption. However, in some states, parents can adopt together. Despite the current difficulties with the international adoption climate, LGBT families should not be discouraged from adopting. Domestic adoption remains a terrific way to build or expand families. Hilary Neiman of The National Adoption and Surrogacy Center, devotes her practice exclusively to family formation through adoption and assisted reproductive technology, including all aspects of surrogacy, sperm donation, egg donation, and embryo donation. Hilary brings a unique perspective to family creation combining a great deal of knowledge and experience in the area with her warmth, caring, and understanding of the issues involved in surrogacy and adoption. Hilary holds a Masters of Science, a Juris Doctorate, and is currently a candidate for an LLM degree in International Law. She frequently lectures on family building in the gay community. Although the adoption climate is not favorable for international adoptions, the domestic situation is still a great option for the LGBT community.